*Please note that you need to sign up for this workshop a month before it begins. Often we need to fly these instructors in. If we don’t have enough people signed up to cover the basic costs we must cancel the workshops. We want to run all of the workshops. Please help us with this by signing up a month before the workshop begins. 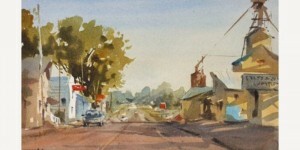 www.EvansenArtStudio.com There seems to be a never-endinq quest to loosen up in watercolor. I hear it from my students all the time. It’s easy to fall into the trap of putting too much into your paintings, and editing out the non-essential whether working from photo reference or painting on location is so important. 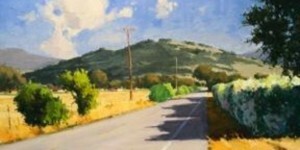 Painting loosely doesn’t just happen, it comes from gaining a comfort level with your skills and materials over time. However, there are techniques that can speed up this process. In my workshop, we’ll discuss ways to simplify a scene into larger shapes that will help you paint more boldly. Value studies are emphasized from the outset. I will complete at least one demonstration painting each day, covering topics such as drawing, skies, trees, buildings, water, and figures. By the end of the class, each student should have enough information to help them on their path to painting impressionistic watercolors. 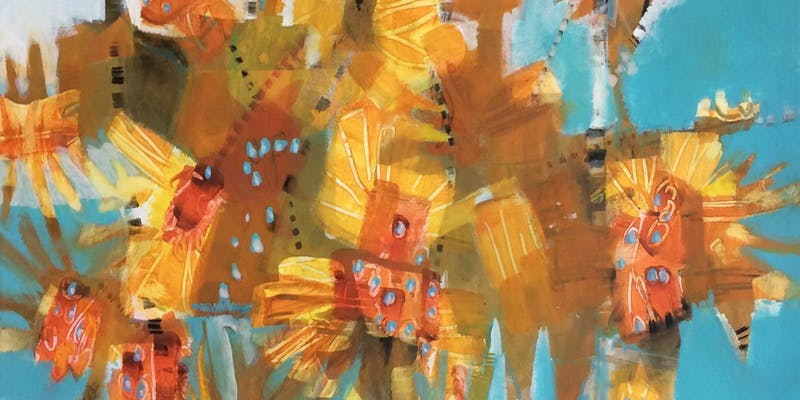 A personal and dynamic combination of watercolor and other water-based media with materials, methods, concepts, and subjects that challenge traditional boundaries of watercolor and defy easy definition. Diverse and eclectic — contemporary watercolor painting is distinguished by the very lack of a uniform organizing principle, ideology, or -ism. 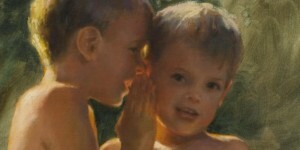 Curiosity, openness, and dialogue are the most important tools for engaging with the medium in a “contemporary” manner. It is: open, Expressive, Loose, often Abstract, Fluid, has the Beauty of the “Mistakes”, Exploratory, combines Water / Pigment / Paper / Timing, involves movement and change, luminous Color, has Traces of History – it can be difficult to remove past brush strokes, is Atmospheric, often Challenging. This three-day course includes demonstrations, viewing examples of the best of contemporary watercolor, studio time to explore new techniques and materials, and individual discussions of how to powerfully define where you engage with this highly personal approach to watercolor and water media. One to one coaching with compositional focus. Defining what Contemporary Watercolor means to you! Prepare for working with an exciting and challenging medium — mixed with a healthy dose of humor and an encouraging, relaxed approach. Invite water to be a visible part of each painting you create! Plan on bringing a $15 fee for materials made out to Kathleen Mooney. This $15.00 materials fee includes items that you would have to buy in bulk or spend a lot of time and effort seeking out. This ensures everyone in the class will have the same standard materials and supplies for this class. For this class that includes three of Kathleen’s favorite 1 1/2 inch brushes, scraping tools, and Deli Wrap. You may also use additional colors from Kathleen’s bin of acrylic paints, watercolors, water soluble pastels, conte crayons and graphite pencils. The cost of this workshop is $365. In this Class, Students will paint from the live model. Using the clothed model, Kevin will teach the elements that make up a great painting: ‘thinking abstractly’, ‘being able to see and make decisions quickly’, as well as color, value, and the use of lost and found edges. Students will also have time to learn how to paint the portrait from the live model. 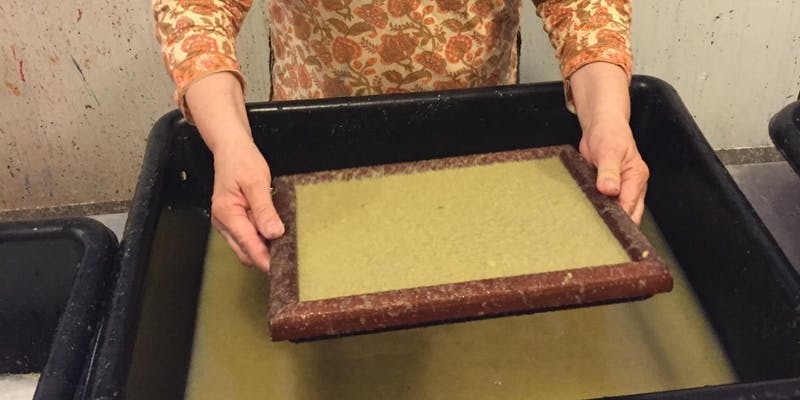 We are on a journey to discover the incredible joy and delight of paper making. From ancient times plant fibers have been made into paper. Working from plant materials either found on the Franciscan Life Process Center, or that I bring with me, we will create unique papers that are more beautiful than can be purchased in any store. Plant leaves or stalks will be cleaned, cooked, and beaten by hand or in a Holland beater. The second day will be spent making paper. On the third day we will take either the paper that was made the day before or new text blocks made from cotton T-shirt scraps from India to create hard backed journals. In the afternoon of the third day we will write, draw, paint, collage, or paste photos into our new journals. This workshop is good for teens and adults who are beginners and up. Please plan on bringing $20 for supplies. Qiang’s approach to landscape painting will be demonstrated with particular focus on choosing dramatic compositions, observing the light distribution, and using bold and loose strokes to create a powerful and accurate representation on canvas. 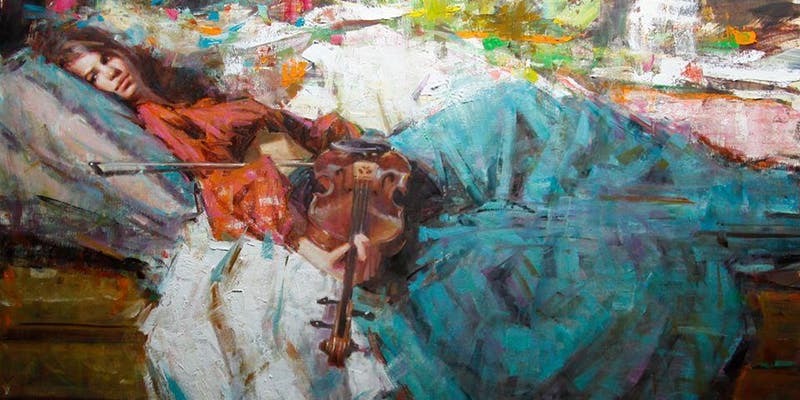 Using demonstrations, presentation, and individual assistance, Qiang will explain his process of creating energetic paintings by manipulating values, colors, edges, and brushwork. Personal attention will be given to each student according to his or her current skill level and personal goals in art. The workshop is designed for indoor practice from your photos of a landscape scene. 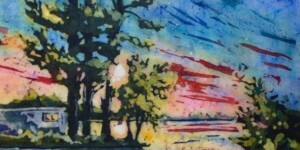 Watercolor batik is a resist method of painting melted wax on Oriental papers that creates exciting results unique to the technique. 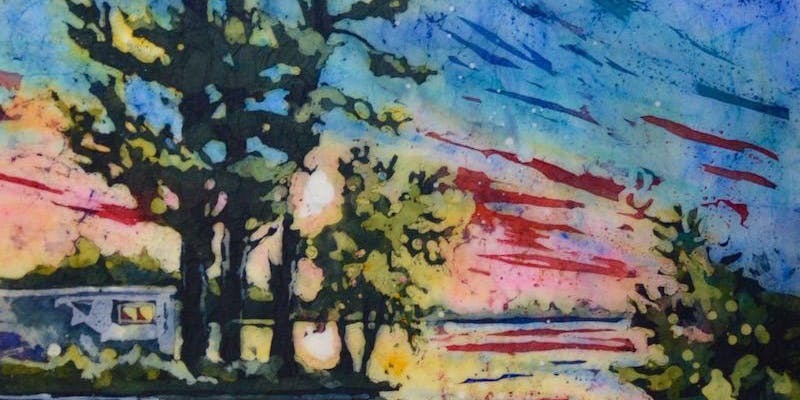 This workshop will introduce the newcomer to the technique of batik and be a great refresher for the returning student who would like to be challenged with exploring advanced techniques that will allow you to create exciting paintings. We will begin with following a step by step demo to learn the process and then progress to learning how to plan values and shapes to create your own successful batik. We will learn various ways of using a tjanting tool, explore negative painting, create hard and soft edges, and paint on colored and fibrous papers. We will explore the use of collage and watercolor pencils with batik. We will learn helpful ways to repair holes and tears and how to tweek areas to improve your finished paintings. Different ways to mat and frame a batik will be demonstrated and you will mount a painting on a gallery wrapped canvas to prepare your work for exhibition. This will be an exciting workshop to push your boundaries and creative thinking. 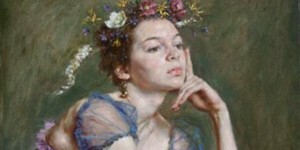 This class will explore both the organized and elegant manner of classical drawing, and the dynamic, fresh approach of contemporary alla prima painting. Though each style has a distinctive character, together they provide the artist with a more complete understanding of artistic technique. The first part of the class will focus on drawing methods with an emphasis on form and light. The final days will concentrate on the spirited technique of alla prima, (“wet into wet” application of paint) which will center on color and paint dynamics. Demonstrations will be given each day which will illustrate each approach. Learn how you can design your paintings to be more appealing and compelling, using tried and true secrets of the Masters. This 4 day studio class will teach you the methods and use of materials to create more Dynamic Paintings. 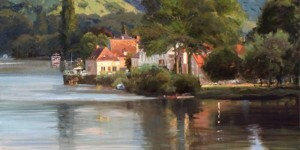 Howard is a Master Signature Member of Oil Painters of America. Any questions please call Kathy at (616) 897-7842, ext. 352. Humans move and our lives tell stories. 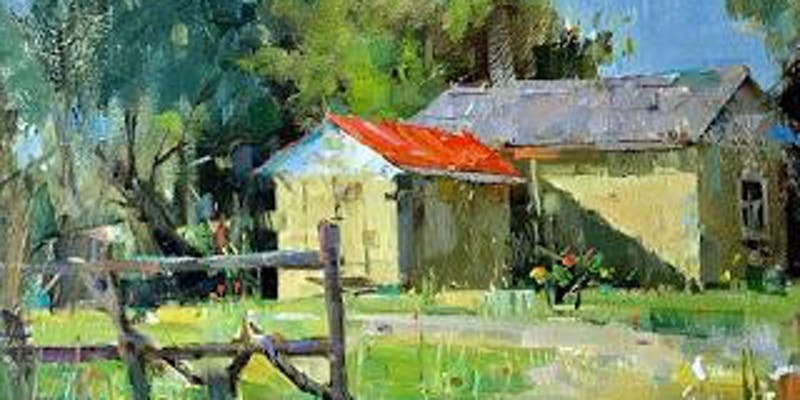 This workshop will help you capture not only the figure, but how best to “Tell the Story” in your paintings. It will cover photographing your subject, arranging the composition, and how to direct the eye for the greatest message. We will discuss motion and creating a sense of movement and emotion through the control and choosing color, edges and values.